Thank-you for your interest in bringing students to Sugar Moon Farm. 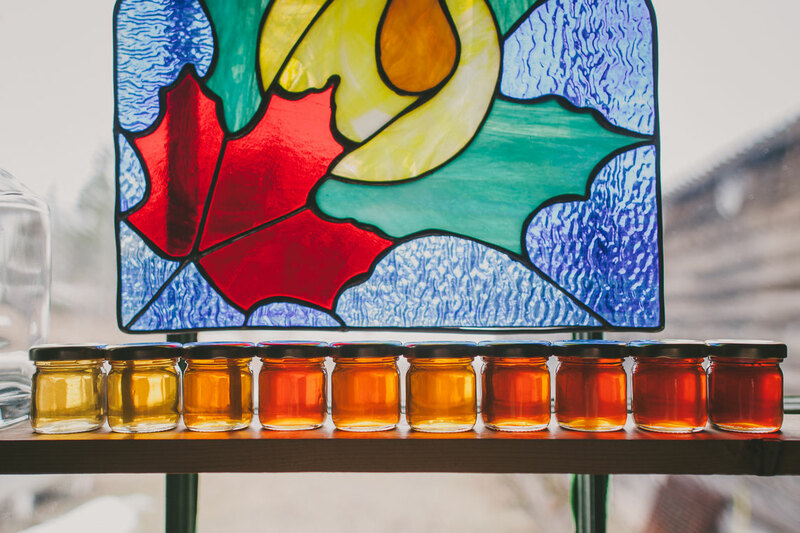 We love hosting children and sharing our passion for nature, farming and maple syrup. You are just a few steps away from creating an unforgettable and rich maple experience for your students. Our ingredients: a great owner-led tour, delicious pancakes + maple syrup, forest hiking + sugar-on-snow - hot syrup poured on crushed ice + rolled up on a stick! School Bookings are welcome year round. Take a look at what we offer, below, and then fill out the Form to submit your inquiry. We'll get right back to you! Post secondary schools email Jordan directly. Just email us directly to give us a heads up. Some Fridays are busier than others and we can help you plan your visit! We offer pre-visit shopping for schools through our Online Shop. Pre-ordering helps keep your visit focused on learning + fun, yet still gives students, families + staff access to our quality products. Indicate on your inquiry form if you'd like assistance with this. Has this school visited us before? If not, please tell us how you heard about our School Visit. Would you like information on pre-visit maple product shopping for students, family + staff? Any special requirements that we should know about for your visit?